"The toothpowder genius has some sort of hold over her," Penelope said. This is one of my favorite lines, from one of my favorite traditional Regency romances, in which the heroine’s young siblings are seeking to determine what is troubling their sister. I re-read it recently, and yet again, could not help but wonder about oral hygiene at that time. Though the practice of dentistry did not formally exist until the 1830s, the denizens of the Regency did not ignore their dental health. Of course, their oral hygiene practices were not nearly as effective as those of today, but many of those who lived during our favorite decade did make a regular effort to care for their teeth. Archaeological evidence has shown that our earliest prehistoric ancestors actually had fairly healthy teeth. However, that was the result of their diet as hunter-gatherers, rather than their dental care. Dental health began to go downhill not long after our more recent prehistoric ancestors took up farming and added grain to their diet. And it got even worse as humans began to eat more and more processed foods, such as milled flour. There is also little doubt that the Crusaders did their fellow countrymen no great favor when they brought sugar back to the Continent with them from the Holy Land. The ancient Egyptians began using twigs which were frayed at one end, to clean their teeth. Some of those twigs were sharpened at the other end for use in cleaning between the teeth. Many members of the upper classes also used an early form of tooth powder, which was a blend of rock salt, mint leaves, pepper and iris flowers. A few centuries later, people were using bird feathers, porcupine quills and animal bones to clean the surface of their teeth and/or to get in between them. In ancient Greece, several writers recommended the need for people to keep their teeth clean. However, the ancient Romans were probably the first culture in which tooth powder was used on a fairly wide scale. Tooth powder in ancient Rome could be made from a number of ingredients, including bones, hooves and horns of various animals, as well as crab, mussel, oyster and egg shells. In some cases, these ingredients were burned before they were ground to a powder, then blended with honey, saltpeter, ground myrrh and/or hartshorn. In addition, some people in ancient Rome also used human urine as a mouthwash. In the early medieval period, in China, twigs with frayed ends, feathers and porcupine quills were not the only implements used to clean teeth. It is believed that the first toothbrush was made in China as early as 1000 A.D. These brushes were most often made of hog bristles set into a bamboo or bone handle. Though it took more than seven centuries, the concept of the toothbrush gradually migrated from China to Europe. However, once the toothbrush reached the Continent, most Europeans found they preferred softer bristles. For that reason, the majority of European toothbrushes were made with horse hair. At that time, and well into the eighteenth century, all toothbrushes in Europe were made by hand, in much the same way as were hairbrushes. Typically, these toothbrushes were made of bone, ivory, fine hardwoods, or, in a few cases, silver. Therefore, toothbrushes were expensive, and well into the eighteenth century, most of them were made to order. For that reason, only the affluent could afford a brush to clean their teeth. Then, in 1770, a man named William Addis was thrown in jail, for inciting a riot in the Spitafields section of London. While serving his sentence, Addis had time to consider the current state of teeth cleaning, not only among his fellow inmates, but by the middle and lower classes in general. At that time, most people used a scrap of cloth, often linen, or a small piece of sponge, along with some kind of "tooth powder." The tooth powder compound being used in the prison where Addis was incarcerated was a blend of salt and soot. It is not surprising he thought the process could be improved. It is said that while he was watching the jailer sweep the floors, Addis got the idea of making brushes to clean the teeth. As many prisoners did at that time, he kept a length of bone from one of his meals. He then smoothed the bone, and drilled a series of very small holes into it at one end. From the cook, or one of the guards, he was able to secure a bunch of hairs or bristles, which he gathered into tiny tufts. Those tufts were then inserted into the small holes in the bone handle he had made. Once all the holes were filled with bristles, he secured them in place with glue. William Addis was so pleased with his new toothbrush that, in 1780, a few years after his release from prison, he went into business making reasonably-priced toothbrushes for the masses. He clearly met a pent-up need, as his toothbrushes sold very well, since they were affordable for most people. William Addis died in 1808, a very wealthy man. His firm, Addis & Company, remained in business, in the same family, for more than two centuries. In 1996, the family sold the company, but it continues to make toothbrushes to this day, as part of the Wisdom Company. By the Regency, the majority of the upper and middle classes in the British Isles could afford a toothbrush solely for their own personal use. It is known that some poorer households could afford only one toothbrush, which was used by all members of the family. Those who could not afford a toothbrush continued to clean their teeth with a bit of cloth or a small sponge, while others simply used their index finger, if they bothered to clean their teeth at all. When cleaning their teeth with a cloth, a sponge or their finger, some people dipped it in some brandy, wine or other alcoholic spirits and might add a dash of salt. But the most common and least expensive tooth cleaning compound was soda ash and salt, with or without a splash of water. Those who used toothbrushes typically used them with some kind of tooth powder, since they could usually afford it. A number of tooth powders were made and sold by various apothecaries across the country. A few doctors even sold tooth powders made from their own proprietary recipes. In addition, during the Regency, quite a few people were still making their own tooth powder at home. Compounds which were considered effective for cleaning the teeth might be comprised of a blend of several ingredients, including orris root, alum, cream of tartar, borax powder, castile soap, chalk, (calcium carbonate), sugar, or soda ash (sodium carbonate). Abrasive ingredients including salt, crushed eggshells, pumice, brick dust, powdered cuttlebone, and crushed chinaware could also be added. Crushed charcoal and/or powdered tree barks were sometimes blended into tooth powders as a means to prevent bad breath. Various flavorings were usually added in order to improve the flavor of the tooth powder; the most popular being the oils of peppermint, clove, cinnamon, orange or rose. Some Regency tooth powders were moistened with ingredients such as honey or glycerine, which gave them a paste-like consistency as well as a sweet taste that made them more palatable and easier to use. Both honey and glycerine also served as a preservative. Cochineal or carmine was sometimes used to dye tooth powder a rich crimson, which some people believed made it more effective. Washing soda, also known as soda ash (sodium carbonate), was the most common ingredient used in most tooth powders by the turn of the nineteenth century. The very poor, who could not afford to buy, or even make, tooth powder, generally used a mix of soda ash and salt, usually applied with their index finger, to clean their teeth. At the other end of the spectrum, some very affluent people employed rather exotic ingredients in the making of their own personal tooth powders. One example was Penelvar, a tooth powder compound which was a blend of finely powdered tobacco or snuff, blended with red earth. Penelvar tooth powder was popular with many of those addicted to snuff, including Queen Charlotte. It is known that Queen Charlotte usually moistened her Penelvar with strong green tea before she used it to clean her teeth. Variations of this particular dentifrice was also used in some parts of Scotland, where snuff was very popular. From the late eighteenth century, the majority of home-made tooth powders were a blend of soda ash, chalk, and castile soap or borax powder. Borax had a foaming effect when wet which many people liked, believing it cleaned their teeth more thoroughly. Salt or sugar were the most usual abrasive ingredients, with one or more herbal oils added for flavor. However, ground bone, crushed chinaware, brick dust or pumice might be added in the belief it would increase the cleaning power of the tooth powder. Unfortunately, these very abrasive ingredients typically did more to damage the teeth than clean them. Honey was used more often to preserve and sweeten home-made tooth powders, as well as creating a pasty consistency. However, glycerine was available to those who could afford it and could be used for the same purposes. Of course, there were always at least a few people who blended their own tooth powders from many other ingredients, from snuff to powdered herbs to soot and even rye or barley flour, among others. Whether home-made or produced on a commercial scale, by the Regency, most tooth powders were stored in tins or glass or ceramic jars. Ideally, those containers best preserved the tooth powder if they were air-tight. Even those tooth powders which were made with a paste-like consistency were stored in some kind of tin or jar. In general, the more reasonably priced commercially produced tooth powders were sold in tins. The more expensive tooth powders were typically sold in more elegant glass or ceramic jars. The collapsible metal tube was not invented until the mid-nineteenth century and such tubes were not used for toothpaste until the late 1880s. During our favorite decade, the affluent brushed their teeth with a custom-made toothbrush crafted of fine materials. They also used a good quality tooth powder on that brush, one they purchased from an upscale apothecary, or had made on their estate to their specific formula. Most of the middle classes got their toothbrushes from companies like that founded by William Addis. They might buy their tooth powder from their local apothecary, or it was made in their own homes, by the lady of the house or her daughters. The very poor could not afford either toothbrushes or tooth powder. If they cleaned their teeth at all, they typically used a bit of soda ash and salt on their index finger, or on a scrap of cloth or a sponge. Some people might follow the cleaning of their teeth with a swish of some type of alcoholic beverage as a means of preventing bad breath. During the Regency, people did not get a new toothbrush every three months, and most dentists recommend today. Instead, they would have used the same toothbrush until it wore out. Only then would they buy a new toothbrush. By the Regency, a large number of doctors recommended that their patients regularly clean their teeth, though it seems most of them thought once a day was sufficient. At that time, many physicians cared for their patient’s dental health along with the other health care they offered, with one exception. Regency physicians did not usually soil their hands with surgery, or with the removal of bad teeth. When a patient had a tooth which needed to be removed, they would have to see a tooth-drawer, since the separate profession of dentist would not exist until the 1830s. In the larger British cities and towns, a person might have enough business to be able to support themselves solely as a tooth-drawer. However, in the smaller towns and villages, typically the local barber handled all the tooth-drawing in the area. Whether in town or country, it was a regular courtesy for a tooth-drawer to go to the home of most upper- and middle-class people to draw their teeth, rather than making them come to their shop. Which is not to say that someone might not go to the tooth-drawer if their situation required immediate attention. Dear Regency Authors, might some tooth powder and one or more tooth brushes find their way into one of you forthcoming tales of romance? Perhaps the heroine, who grew up rather poor, is surprised and delighted to discover, when she is taken in by more affluent relatives, that she is to have her own toothbrush and will not have to share it with anyone. Mayhap the hero, a spy for the Crown, has a special toothpowder tin made, with a false bottom, in which he can smuggle important messages or small but valuable objects across enemy lines. Then again, the heroine, a young lady living in a small village, supports herself making a selection of personal care products, including toothpowder, which she sells to local residents. Of course, toothpowder might also serve as the vehicle by which to deliver poison, perhaps from the villain to the hero? How will that plot be foiled? If the story is set before November of 1818, a character who spent some time with Queen Charlotte might be taken aback or put off by the Queen’s snuff-based tooth powder. Are the other ways in which a toothbrush or tooth powder might clean up the plot of a Regency romance? 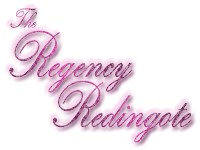 This entry was posted in Apparel & Grooming and tagged Regency. Bookmark the permalink. A couple of archaeological stories you might find interesting. In the recent excavations on the site of Steventon Rectory, an early toothbrush handle was found. It’s nice to think that Jane Austen brushed her teeth. At another excavation, which located the foundations of the first infirmary at Sherborne School, a large number of small objects were found, including many toys – dice, counters, toy soldiers etc that had probably belonged to sick children, and had fallen through the floorboards. Amongst them was a toothbrush handle, on which the owner had scratched his name, from the school records it was discovered that he had attended the school between 1810 and 14. I think one of the most effective tooth powder would have been the one from Gervase Markham’s ‘the English Housewife’ which suggests sage and salt baked together and then broken into a powder. Country folk just rubbed their teeth with a sage leaf which probably did more good than many fancy powders putting more sugar or abrasion onto the teeth as sage has always been excellent for oral hygeine, and sage tea was a sovereign cure for a putrid sore throat [and still is]. I have mentioned it in ‘Vanities and Vexations’. I wonder when it was that people realised that all they needed was bicarbonate of soda? after all, it was used, like soda-ash, in cleaning and care for delicate fabrics. I had never heard about sage for oral care, but that would certainly be more pleasant than some of the ingredients which I found listed during my research. It would also be much more gentle on tooth enamel. I did not include bicarbonate of soda as an ingredient since my research indicated that it was not developed, from soda ash, until the mid-nineteenth century, more than two decades after the end of the Regency. You are quite right, the term dentist does appear before the 1830s, but according to my research, it was not an independent practice until the 1830s. You are also right that the term dentistry appears by the mid-eighteenth century, but again, I could find no evidence for an independent dentistry practice before the 1830s. If it is of any interest to you, it is believed that the first instance of forensic dentistry, at least in the US, took place in the mid-1770s. Paul Revere, a silversmith, also did dental work for many of his customers. One of those was his friend, Dr. Joseph Warren, for whom he made a dental bridge. Dr. Warren was killed at the Battle of Breed’s (aka Bunker) Hill, in June of 1775. Warren was buried in a mass grave, but some months after the battle, Revere and his family wanted to find his body so that it could be laid to rest in the family plot. Despite the state of the corpses when they were exhumed, Revere was able to identify Dr. Warren by the bridge he had made for him. Quite a lot has been written about Dr. Joseph Warren, as he was one of the more active of the early Founding Fathers. There was at least one biography written about him, and he is one of the more important figures in a number of books written about the American Revolution. But I don’t know enough about him to tell you if he had any children, or, if he did, if any of them returned to Britain. That did happen during the Revolution and in the early years of the Republic. Some people wanted to remain British and so left the States for home. You can probably get more information about him online, or at your local library. Ah, then he was probably not in the immediate line of descendant of Dr. Joseph Warren. From what I understand, there were quite a number of Yanks who were in much the same state during the war. But at least that fellow gave you the love of your life. So, maybe he gets points for that? I don’t know anything about research into US military records, so I have no idea how to advise you on getting more information about him. However, I can tell you that the surname Warren in fairly common in New England, so your father-in-law may or may not have been a descendant of Dr. Joseph Warren. And I have the ad of a Mr Rae, surgeon and dentist in 1791. He makes a powder and tincture for the teeth and gives advice and assistance to poor people and servants gratis every morning. Most unusual! I wonder if he offered free care to servants in the hope they would recommend him to their employers. Then again, he may just have been a decent man who wanted to help people. your research on sodium bicarbonate missed the two New York bakers who developed sodium bicarbonate in the mid 18th century as a rising agent – so Americans might have had it readily available. They combined sodium carbonate with carbon dioxide, rather than messing around with a lye like soda ash. I have found out that Egyptians used naturally occurring forms like Natron to clean teeth as well as in paints and as a desiccation agent in mummies; it’s not pure sodium bicarb but it does apparently exist in naturally occurring form. [I went poking about because I knew it was used as an agent to clean delicate fabrics in the late medieval period]. I did find a reference to that event, but the date given was in the mid-nineteenth rather than the mid-nineteenth century. For that reason, I did not pursue the issue. I wonder now if there might have been a typo in the reference I found. I am a tiny bit confused. Was Natron or sodium bicarbonate used for cleaning delicate fabrics in the medieval period? Also, was that just in England or all across Europe? I am always fascinated with anything to do with textiles.